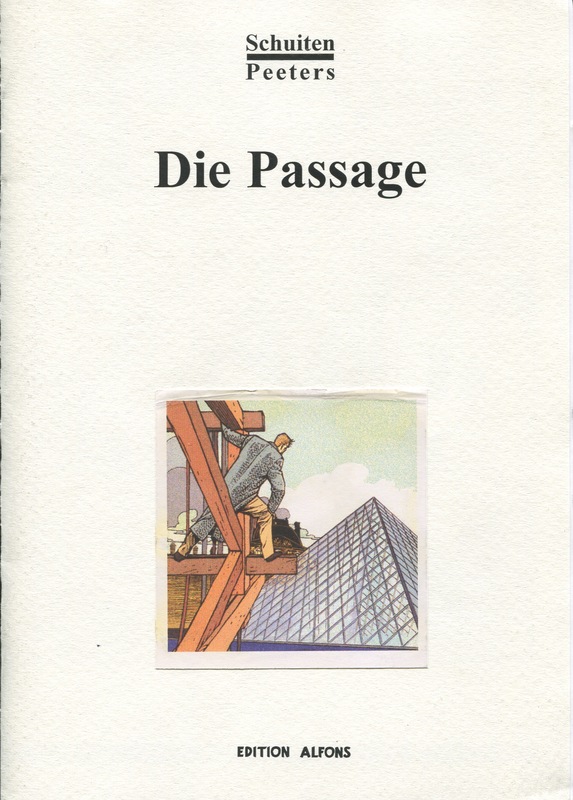 Die Passage is a German booklet with three short stories by François Schuiten and Benoît Peeters. The booklet is published by Edition Alfons in a B5 format. The booklet is in black and white, the cover has a colored image attached. The booklet was part of Reddition, episode 32 (november 1998), limited to 130 copies.